The text is based on the confession of faith that Paul quotes in Philippians 2:6-11, which may well have been an early Christian hymn. Stanza 1 announces the triumph of the ascended Christ to whom "every knee should bow" (Phil. 2: 10). In stanza 2 Christ is the "mighty Word" (see John 1:1-4) through whom "creation sprang at once to sight." Stanzas 3 and 4 look back to Christ's humiliation, death, resurrection, and ascension (Phil. 2:6-9). Stanza 5 is an encouragement for submission to Christ, for us to have the "mind of Christ," and stanza 6 looks forward to Christ's return as "King of glory." The text is not only concerned with the name 'Jesus," whose saving work it confesses, but also with the glory and majesty that attends "the name of Jesus." He has established the world; it shall never be moved. with angels, authorities, and powers in submission to him. Jesus, the Son of God—let us hold firmly to the faith we profess. Let us praise his holy name! Salvation belongs to our God, who sits on the throne, and to the Lamb! be to our God forevermore! yet we often fail to grasp the significance of what they mean for us. every day of our lives, through Christ, our Lord. Amen. let us kneel before the Lord , our Maker! in his power to deal with the world. Let us confess the incongruity between our faith and practice. We come, O Lord, on this day of glory to confess our lack of trust. in the face of today’s events. and in hope for life with you forever. Amen. the righteous for the unrighteous, to bring you to God. when God waited patiently in the days of Noah while the ark was being built. but the pledge of a clear conscience toward God. Our ascended Lord gives hope for two ages. and who guards us and keeps us in the freedom he has won for us. God is King! Let the earth be glad! every challenge to God’s rule will be crushed. and our Lord will rule. you created the heavens and stretched them out. You formed the earth and all that comes from it. You give the breath of life to all who walk on the face of the earth. Jesus, you conquered sin and death and now reign victorious. You are Lord; glory is due your name. we now await the new things you will bring through the Holy Spirit. We rejoice to be gathered in your name. Alleluia! Accept our praises and petitions. Amen. that they might receive the Holy Spirit and be able to go in peace. Lord, hear us and give us your peace. to baptize them in the name of the Father, the Son, and the Holy Spirit. You said you would be with them always, to the end of the age. Lord, hear us, and send us out with your promise. that we might be equipped for service to a world that knows you not. Lord, hear us, and distribute your gifts among us. of your return, when you will make all things new. Lord, hear us, and come again soon. directed by your Spirit, and sent as Christ was sent. if we die with Christ, we shall also rise with him. prepare for the great day of our ascended Lord’s return. Caroline Marie Noel’s poems were collected in The Name of Jesus and Other Verses for the Sick and Lonely (1861, enlarged in 1870). 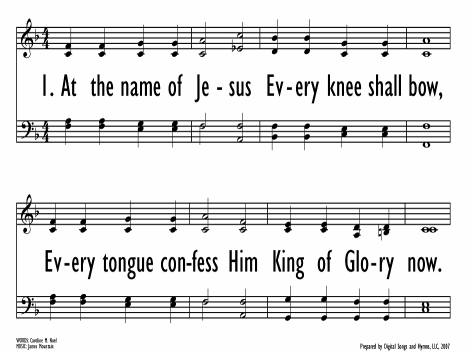 One of the hymns in the 1870 collection was this text (originally beginning "In the Name of Jesus"), designed for use as a processional hymn on Ascension Day. Lift Up Your Hearts includes stanzas 1, 3-5, and 7-8 of Noel's original eight stanzas. The text is based on the confession of faith that Paul quotes in Philippians 2:6-11, which may well have been an early Christian hymn. 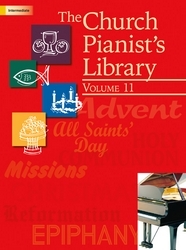 Stanza 1 announces the triumph of the ascended Christ to whom "every knee should bow" (Phil. 2: 10). In stanza 2 Christ is the "mighty Word" (see John 1:1-4) through whom "creation sprang at once to sight." Stanzas 3 and 4 look back to Christ's humiliation, death, resurrection, and ascension (Phil. 2:6-9). Stanza 5 is an encouragement for submission to Christ, for us to have the "mind of Christ," and stanza 6 looks forward to Christ's return as "King of glory." The text is not only concerned with the name “Jesus,” whose saving work it confesses, but also with the glory and majesty that attends "the name of Jesus." Ralph Vaughan Williams composed KING'S WESTON for this text. It was published in Songs of Praise (1925). The combination of text and tune in a festive hymn­-anthem by Vaughan Williams has become a favorite of many church choirs. The tune's title refers to a manor house on the Avon River near Bristol, England. KING'S WESTON is a great tune marked by distinctive rhythmic structures and a soaring climax in the final two lines. Like many of Vaughan Williams's tunes, it is best sung in unison with moderate accompaniment to support this vigorous melody. For festive services use the descant in Vaughan Williams's anthem for stanza 4, or combine select choral stanzas from this anthem with congregational stanzas in the manner hymn of a concertato, using E minor throughout. Caroline Marie Noel (b. Teston, Kent, England, 1817; d. St. Marylebone, London, England, 1877) wrote this spiritually powerful text. The daughter of an Anglican clergyman and hymn writer, she began to write poetry in her late teens but then abandoned it until she was in her forties. During those years she suffered frequent bouts of illness and eventually became an invalid. To encourage both herself and others who were ill or incapacitated, Noel began to write devotional verse again. Her poems were collected in The Name of Jesus and Other Verses for the Sick and Lonely (1861, enlarged in 1870). Through his composing, conducting, collecting, editing, and teaching, Ralph Vaughan Williams (b. Down Ampney, Gloucestershire, England, October 12, 1872; d. August 26, 1958) became the chief figure in the realm of English music and church music in the first half of the twentieth century. His education included instruction at the Royal College of Music in London and Trinity College, Cambridge, as well as additional studies in Berlin and Paris. During World War I he served in the army medical corps in France. Vaughan Williams taught music at the Royal College of Music (1920-1940), conducted the Bach Choir in London (1920-1927), and directed the Leith Hill Music Festival in Dorking (1905-1953). A major influence in his life was the English folk song. A knowledgeable collector of folk songs, he was also a member of the Folksong Society and a supporter of the English Folk Dance Society. Vaughan Williams wrote various articles and books, including National Music (1935), and composed numerous arrange­ments of folk songs; many of his compositions show the impact of folk rhythms and melodic modes. His original compositions cover nearly all musical genres, from orchestral symphonies and concertos to choral works, from songs to operas, and from chamber music to music for films. Vaughan Williams's church music includes anthems; choral-orchestral works, such as Magnificat (1932), Dona Nobis Pacem (1936), and Hodie (1953); and hymn tune settings for organ. 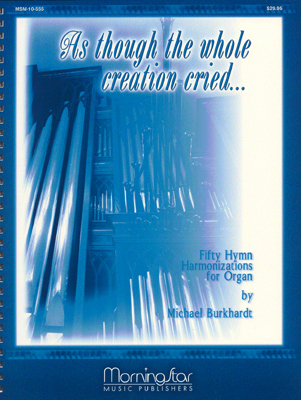 But most important to the history of hymnody, he was music editor of the most influential British hymnal at the beginning of the twentieth century, The English Hymnal (1906), and coeditor (with Martin Shaw) of Songs of Praise (1925, 1931) and the Oxford Book of Carols (1928).